Land speed racing, like many motorsports, does not provide distinct classes for male and female competitors. Men and women compete equally against one another to be the fastest person, regardless of gender, in history on a certain size and style of motorcylce. Women often fare very well in the sport as smaller shoulder width and stature can be an advantage to aerodynamics. 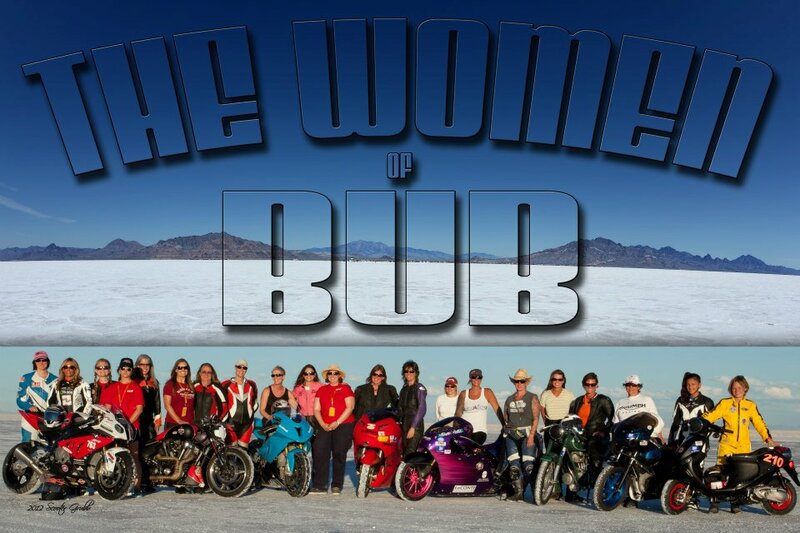 Yet females comprise less than 10% of the land speed racing competitors. Seeing the opportunity to raise awareness of the sport and showcase amazing females, we founded the SheMoto Scholarship. The scholarship, founded by HSR in 2006, is awarded annually to the female racer who embodies the spirit of landspeed racing … tenacity, competitive drive, wisdom, passion, camaraderie and perseverance. There are two parts to the Scholarship … a financial award for the winner and a second financial award that the winner can bestow to the person in her life who has served as their encouragement for racing. If you’d like to help fund the SheMoto Scholarship anonymously or in the name of your favorite strong female role model, your donations here are greatly appreciated. 100% of donations will go towards funding the Scholarship. The Bonneville Motorcycle Speed Trials were not held in 2015 due to unstable Salt conditions.